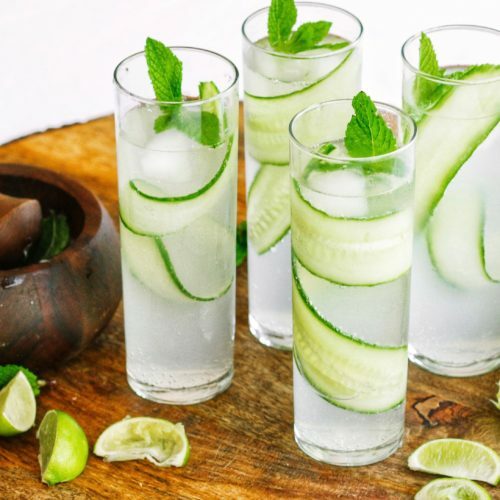 Muddle cucumber, mint, sugar and lime juice (from 3 wedges) in a mortar and pestle, if you do not have one, you can muddle in a shaker or gently in a tall glass; stir well. You just want to break up some of the mint leaves, making sure not to crush them. Add ice cubes, rum and club soda; give it a good shake or stir. 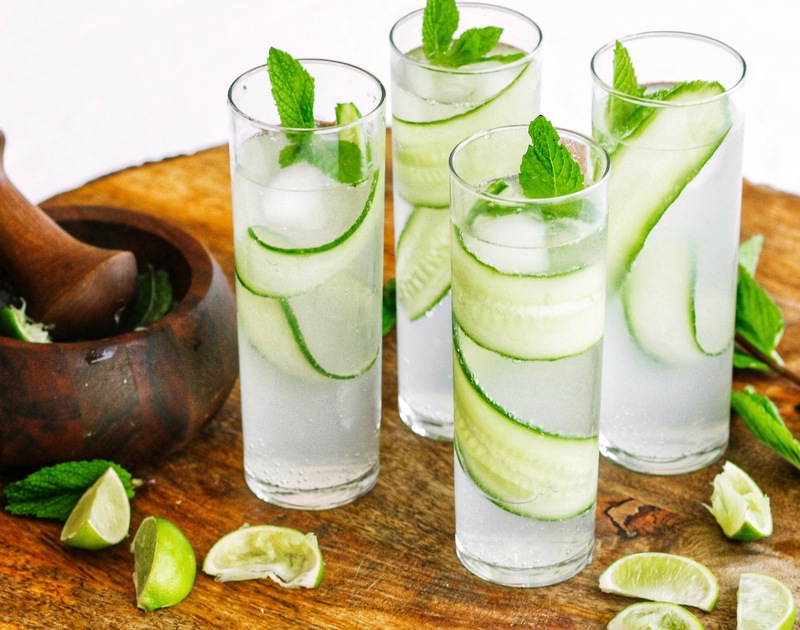 Strain into serving glass and garnish with cucumber slices,lime wedge and mint leaves.